Grace Ryan’s class completed the most hours in the school competition. Mrs. Ryan is pictured with some students in her class. John S. Hobart Elementary School recently hosted a popcorn party for the classes in each grade level achieving the most hours on Pathblazer, a web-based program that helps students achieve new heights in reading and mathematics. Each week leading up to the party, totals were announced over the loud speaker and displayed on a bulletin board in the school lobby. Students also had the opportunity to earn individual awards such as gift certificates to Applebee’s, Friendly’s, Pizza Hut and Island Cinemas. 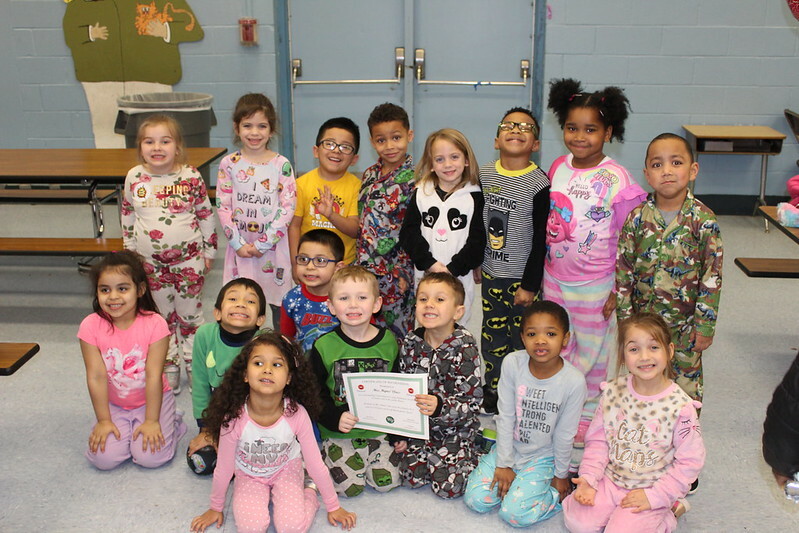 “Throughout these months, students were excited about the potential of attending the celebration with their classmates as they strived to have the highest total hours for their grade level,” said Dominic Ciliotta, assistant principal, John S. Hobart Elementary School. “The John S. Hobart PTO sponsored a popcorn party for the leading classes in each grade level.” Popcorn, candy and refreshments were provided to all students as well as a certificate to each class, recognizing their hard work and dedication to using the program. More photos in the album below!